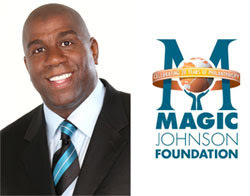 Official Charity of Richard Sherman, Seattle Seahawks All-Pro CB. Its goal is to help as many kids as possible have adequate School supplies and clothes. 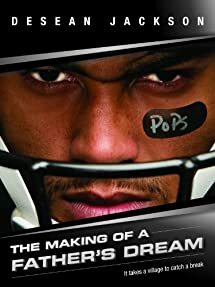 This film is the result of 18 years of documenting every aspect of the making of an NFL star, DeSean Jackson, from Pop Warner to the Pro Bowl... and the rocky journey of a family to stay together through it all. Here is a list of 3 black women who have inspired others and made a big difference but who you may have never have heard about. When we think of famous black women who changed the world we usually turn our attention to well-known celebrities and activists such as Oprah Winfrey and Rosa Parks. However, there have been other famous black women who have stood up and made a difference. Here are just three of them. Queen who? You may well be asking. This sister was one to be reckoned with; Queen of Madagascar from 1828 to 1861, Ranavalona gained herself a bit of a reputation as a badass. Known as the “Black Pearl,” Josephine Baker was an American born French actress, dancer, and singer who during her time received approximately 1,500 proposals. This babe was talented and hot! In her heyday she literally took Paris by storm with her exotic beauty, not to mention her seductive dance routines and revealing dresses and costumes, one of which was a skirt made from bananas. Unfortunately she was not so well received in her home country, the US, who were not open to the idea of a black woman having such celebrity status at the time. Josephine Baker was more than an entertainer, she was also an activist who even worked for the French Resistance during World War II for which she received a medal. During her career she continued to travel to the US to fight racism and even adopted children of different ethnic backgrounds and named them the “Rainbow Tribe” to show others how we could all get along together in this world. She went on to make a performance at the New York Carnegie Hall in the 1970’s and was nervous about how she would be received, however times had changed and she received a standing ovation on stage before her performance even began; which moved her to tears leading her to weep on stage. This woman was an absolute inspiration who was not only the first African American female to star in a major movie, but one who also paved the way for other black women in the field of entertainment as well as life in general. 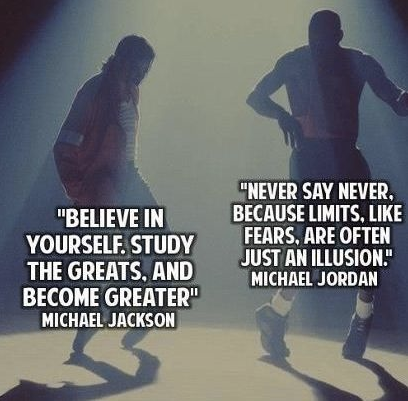 (December 21, 1959–September 21, 1998). Better known as “Flo-Jo,” this American track and field sensation took home 3 gold medals and a silver at the 1988 Summer Olympics. She is known as the “fastest woman of all time” and still holds the world record in the 100 and 200 meter events. Despite her success, there were rumors that her coach Bob Kersee encouraged the use of performance enhancing drugs which Flo-Jo always denied. The claims came about as a result of her increased performance levels between 1984, where she competed in the Summer Olympic games in Los Angeles winning a silver in the 200 meters, and her performance in 1988 where she took home 3 gold’s and a silver. In fact, Flo-Jo never failed a drug test so there was never any real evidence that she did make use of performance enhancing drugs. Flo-Jo was famous not just for her incredible athleticism but also her distinctive unique style when running. She would often run in spandex body suits while sporting 6 inch long decorated fingernails. When she was younger she was once asked to leave a shopping mall for wearing her pet boa constrictor around her neck! Sadly, Flo-Jo died in her sleep at the age of just 38 following an epileptic seizure. Her records remain unbeaten to this day and she stands as an inspiration to other hopeful athletes. Flamboyant, gifted and smart, this was a woman who will remain very hard to beat. Nowadays women have many more opportunities than they used to have thanks in part to these breed of determined and great women. However, there is still much work to be done. So let’s take our inspiration from those who have gone before us, continue their legacy and pave our own way to a better future. Black people were the first to develop mathematics in Africa 37,000 years ago, as it was the first method of counting. Africans in the region known as modern-day Egypt, scripted textbooks about math that included division, multiplication, algebraic equations, fractions and geometric formulas to calculate the area and volume of shapes. The richest man to ever live was a black man named Mansa Musa. Musa, who was an emperor of the great African empire Mali from 1312 to 1337, was one of the most influential leaders the world has ever known. Mastering commerce and trade, Musa accumulated an estimated $400 billion during his reign, according to a new inflation-adjusted list by Forbes.com, making him the richest man in the history of the world. Blacks built the first universities in the world. In particular, the University of Tombouctou, also called Timbuktu, which is in Mali, was considered the oldest thriving university in the world. Students came from Europe, the Middle East, Asia and all over the world to study at Timbuktu. Several ancient African cultures made discoveries in astronomy. Egyptians unfathomed the movement of the sun and constellations and the cycles of the moon long before any other region of the world. The Egyptians inspired the modern calendar. There are evidence that shows they divided the year into 12 parts and developed a yearlong calendar system containing 365 ¼ days. The ancient Egyptians, a primarily black civilization, started writing in about 3500 B.C. or 5,500 years ago. The Sumerian of Mesopotamians and ancient Egyptians were the first known in history to establish communication through writing. Other Asian and European cultures began writing thousands of years later. The first advances in metallurgy and tool-making were made by black people all across ancient Africa. They made metal chisels, saws, copper and iron tools, weapons, nails, glue, and carbon steel and bronze weapons. Tanzania, Rwanda and Uganda made advances between 1,500 and 2,000 years ago, which surpassed those of the Europeans at that time. Ancient Tanzanian furnaces could reach 1,800 degrees Celsius — 200 to 400 degrees warmer than those of the Romans. Black people were the first to use the sciences of architecture and engineering, building some of the greatest and longest-standing structures ever seen. The Egyptians baffled the world by building more than 80 pyramids, with the largest, the Great Pyramid of Giza, covering 13 acres and made of 2.25 million blocks of stone. The Giza pyramid was built around 2580 B.C. and is still standing strong today. Before the European invasion of Africa, black people had developed a medical system based on plants and herbs to cure illnesses. Egypt, Southern Africa, West Africa and parts of East Africa were more advanced in medicine than Europe at the time. They used plants with salicylic acid for pain, kaolin for diarrhea, and other extracts to kill bacteria. The achievements by doctors in ancient Egypt were incredible. Findings obtained by archaeologists have produced evidence that in 3000 B.C., the Egyptians performed successful brain surgeries. Black people were the first to navigate the ocean. There is evidence that ancient Africans sailed to South America and Asia hundreds of years before Europeans. Shipbuilders in the Mali and Songhai empires built boats 100-feet long and 13-feet wide that could carry up to 80 tons of cargo. It is well established that black people introduced civilization to the world. Egypt is the best known example, but there are many others. Africans built powerful, wealthy and thriving empires such as Nubia, Kush, Axum, Ghana, Mali, and Songhai. In Asia, black people were instrumental in building civilizations in Mesopotamia, the Indus Kush Valley, and China. There is also evidence that the Olmecs of Mexico were significantly influenced by West African civilizations.